This week we have some exciting new character posters to show you. The chaps at Dreamworks have been kind enough to give us one brand new and exclusive poster (or in this post, two!) 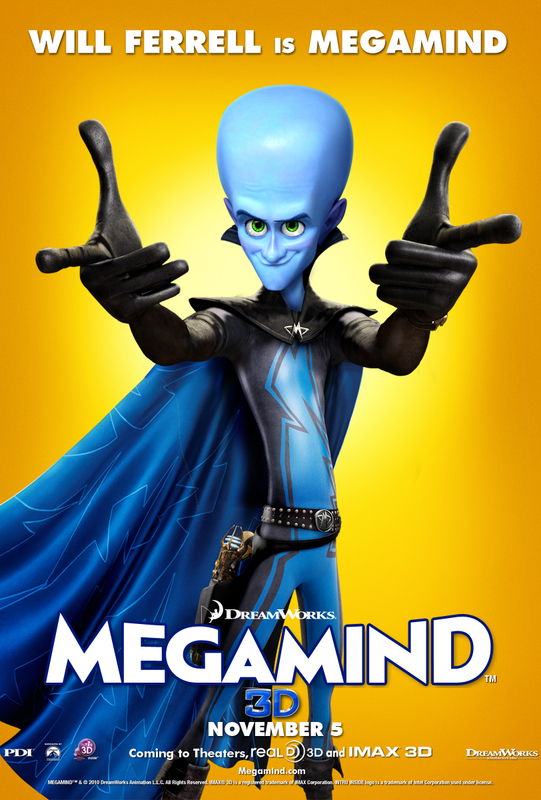 every day this week to show you off their new movie, Megamind. Megamind has a voice cast which includes Will Ferrell, Tina Fey, Brad Pitt, Jonah Hill and it’s directed by Tom McGrath. These two new posters which I’ve embedded below are your treat for this morning and we’ll be bringing you another later on today so keep your eyes peeled! Synopsis: From the studio that brought you “Shrek,” “Madagascar” and “Kung Fu Panda.” The brilliant and diabolical super-villain Megamind has been attempting to conquer Earth for over 20 years but, each time, he’s been thwarted by his arch nemesis, the caped superhero Metro Man. But all that changes one day when Megamind accidentally kills Metro Man in the throes of one of his evil plans. Suddenly finding himself without a foe to overcome, the despondent evil genius decides that the only way out of his rut is to create a new super rival. He’s a bigger, better and stronger opponent than Metro Man ever was. 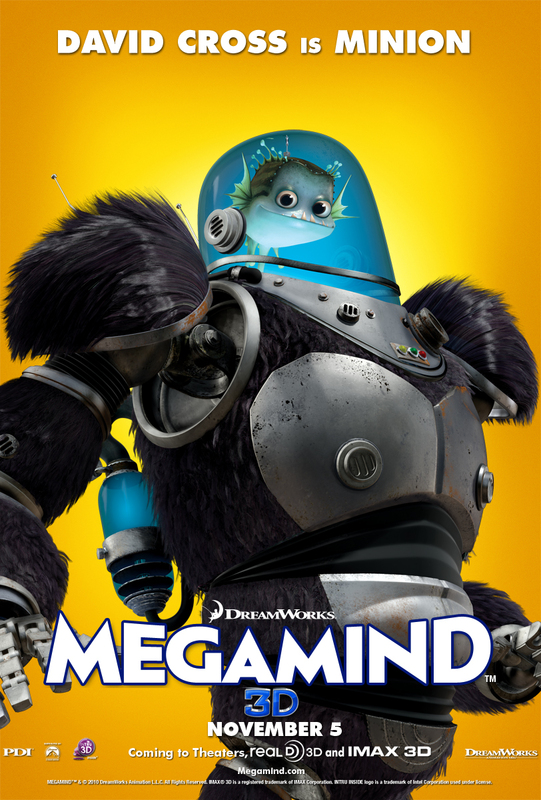 But when the former good guy begins to wage his own war aimed at destroying the world, Megamind must decide: Can he defeat his own (now) diabolical creation? Can the world’s smartest man make the smart decision for once? Can the Evil Genius switch sides and become the Hero of his own story? Please note: These posters show the US release date and Megamind will be released in the UK 3rd December. Click the posters below to enlarge.